3: 0-1 Mark Sykes low shot into the opposite corner of Jensen’s net after Rhys Marshall burst towards the edge of the Crues box. 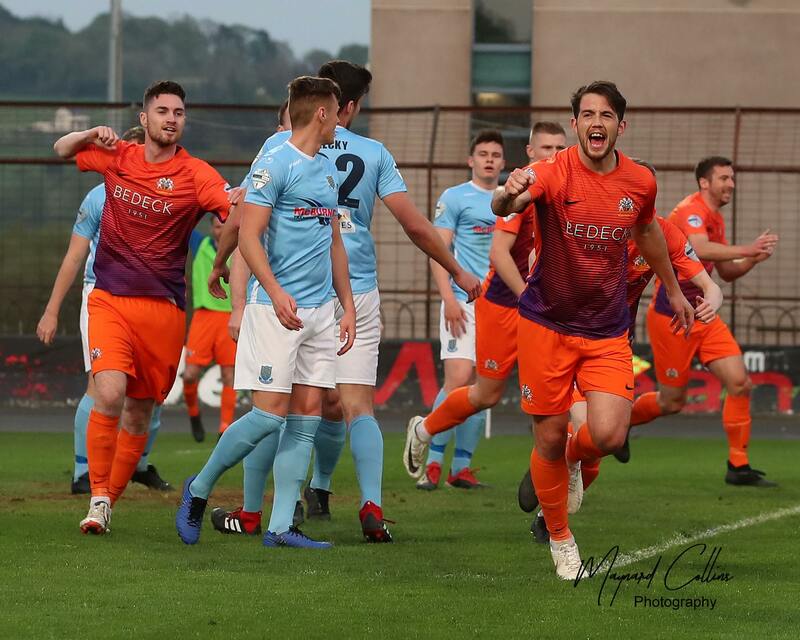 10: 1-1 Paul Heatley picks up the ball on the right of the Glenavon half and is allowed to run with it before unleashing a left foot shot into the top corner from 25 yards. 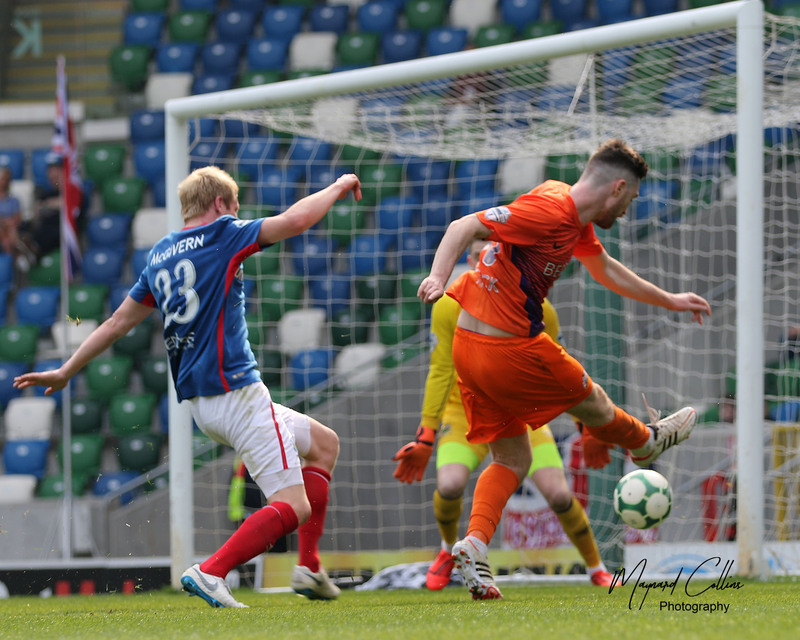 14: 1-2 Glenavon back in front through a Marc Griffin tap in. Again Marshall drove forward, and laid the ball out to Andy Hall. 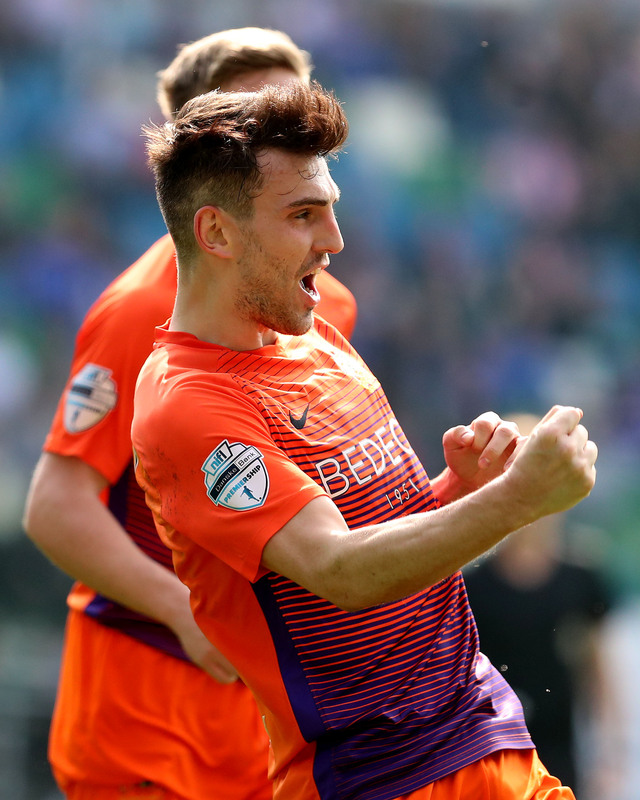 He sent over a low cross that Andrew Mitchell flicked on at the near post for his strike partner to touch in from two feet out. 26: 1-3 Mitchell with a finish from inside the six yard box. 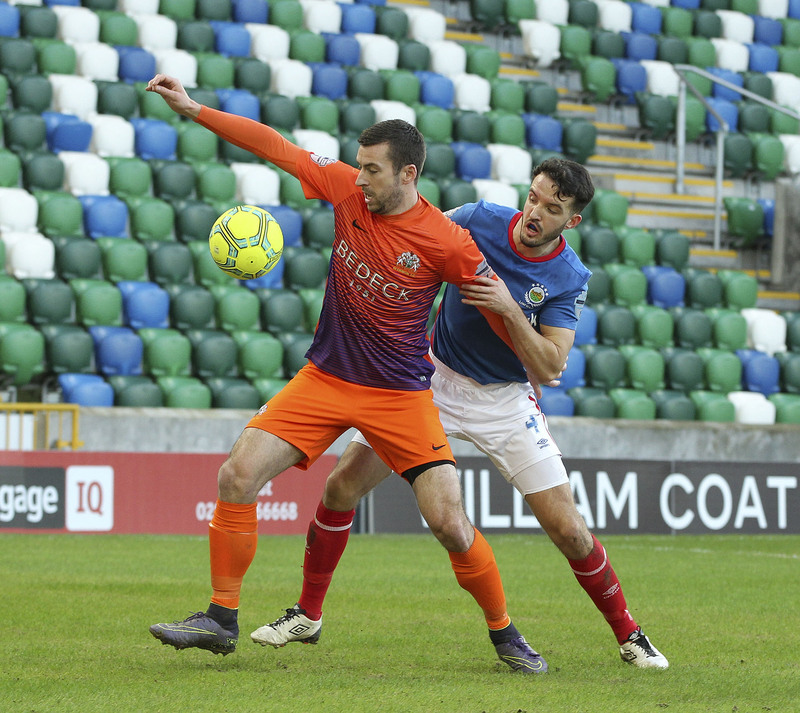 This time it’s Sykes who drives forwards as Glenavon break following a Crusaders attack. He finds Griffin on the right who crosses and puts the ball on a plate for his strike partner. 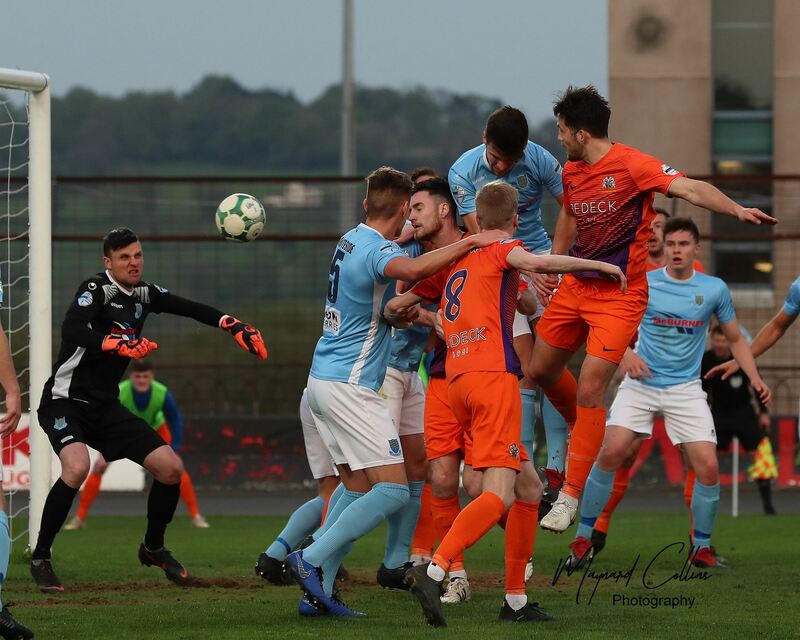 90+2: 2-3 David Cushley scores a stoppage time consolation for the hosts but Glenavon hold on for the fully deserved three points that takes the Lurgan Blues up to second. 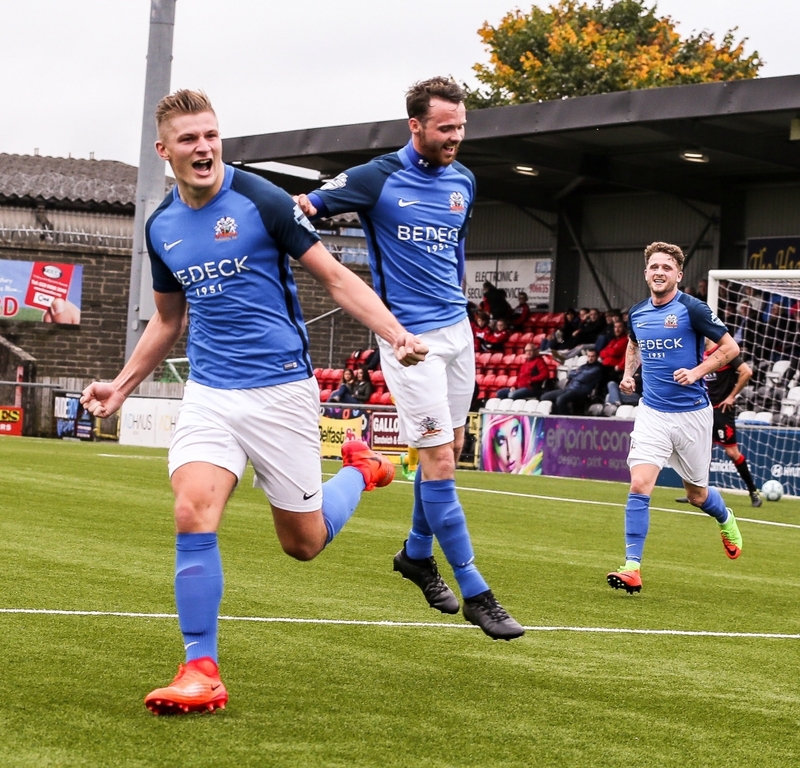 Glenavon: Tuffey (c), Singleton, Burns, Marron, Doyle, Daniels, Marshall, Sykes, Hall, Griffin (McGrory 89), Mitchell (McCavitt 81). Subs: McGrory, Foley, O’Mahony, McCavitt, Jenkins.